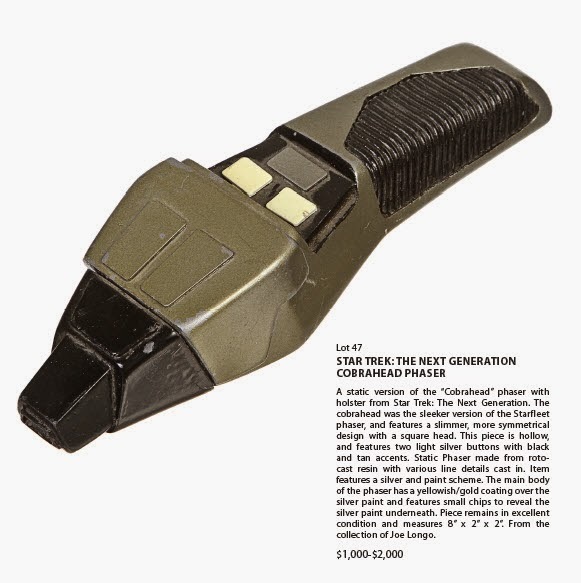 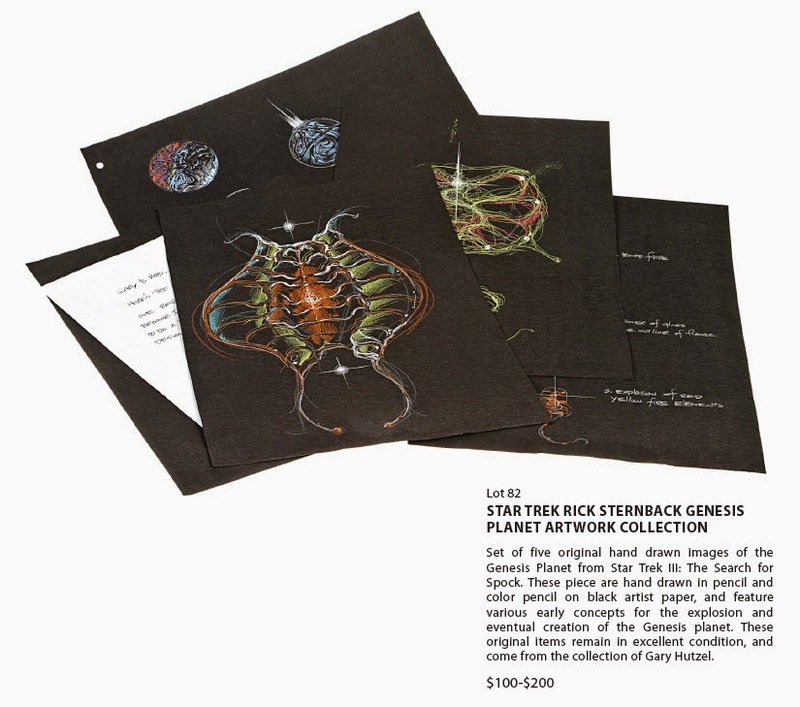 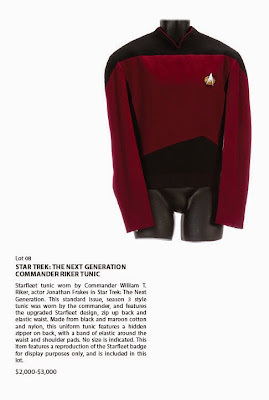 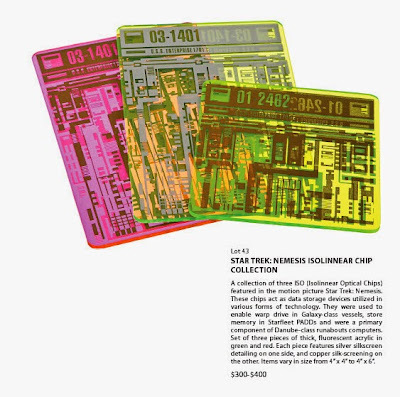 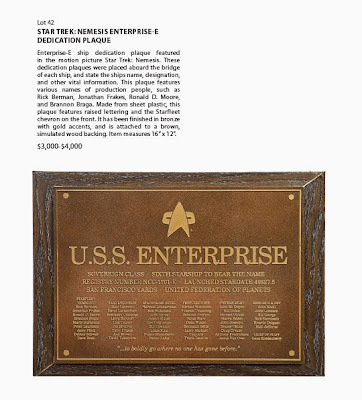 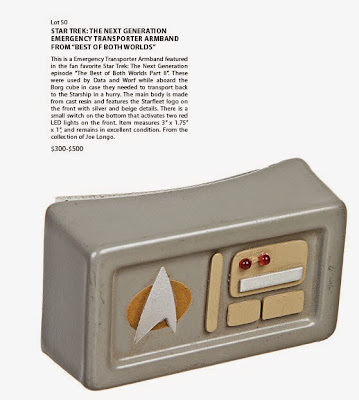 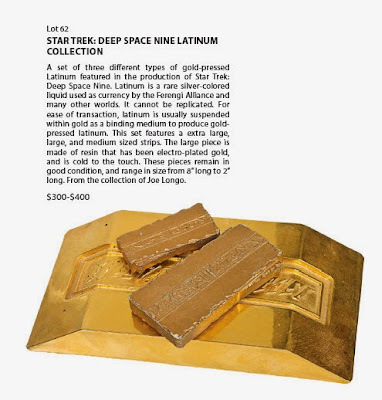 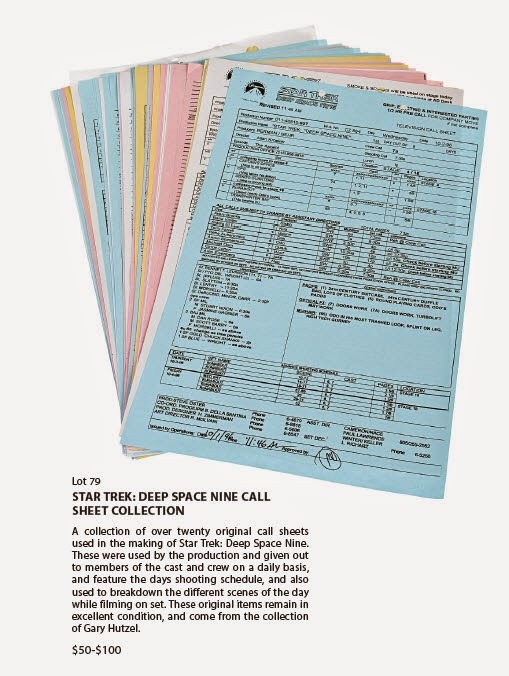 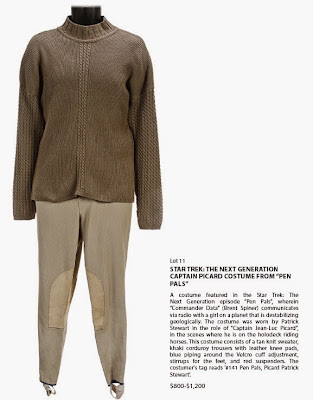 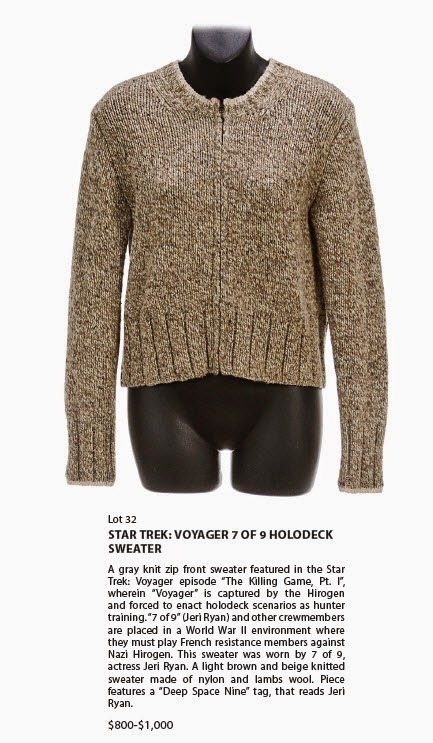 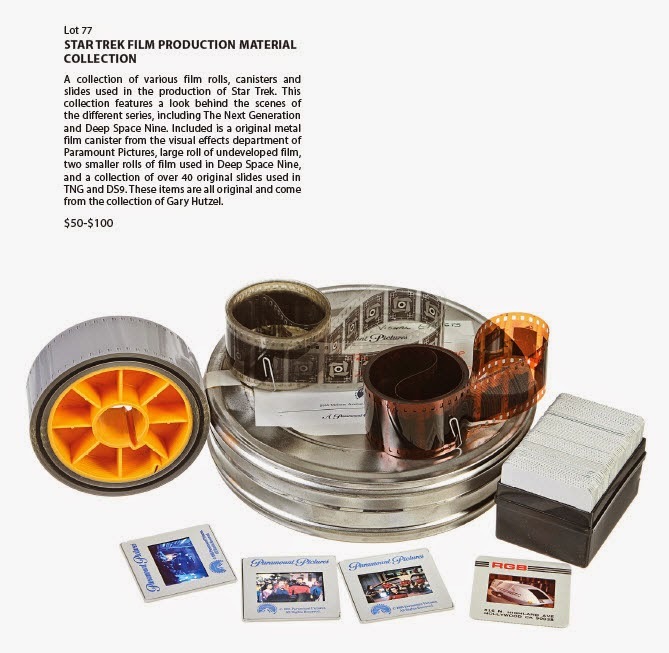 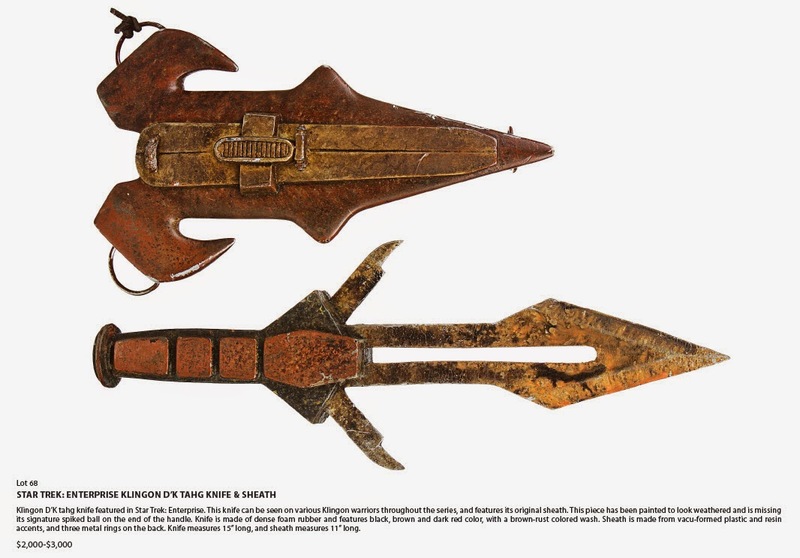 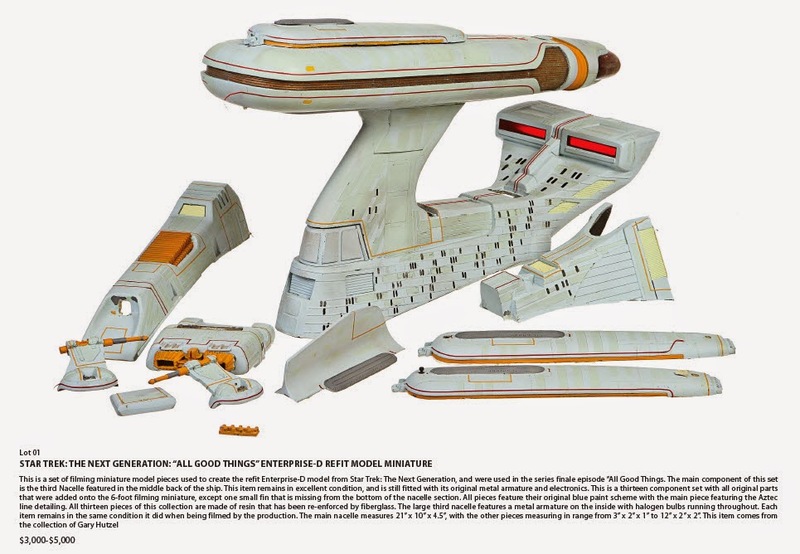 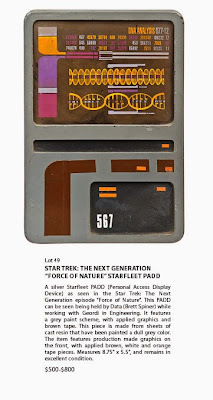 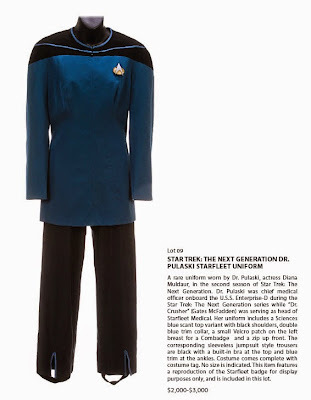 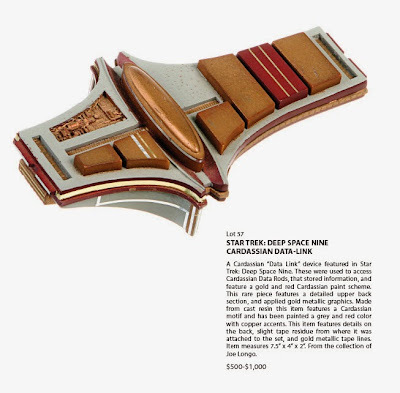 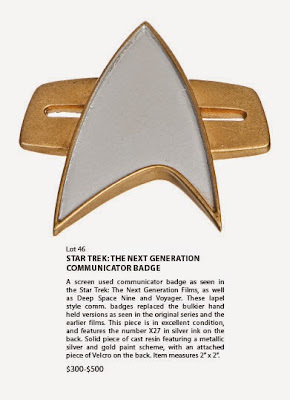 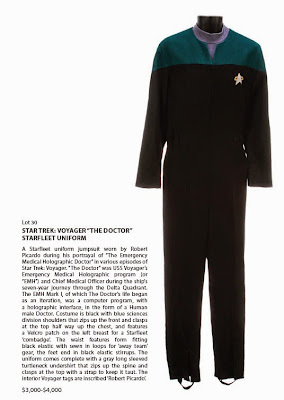 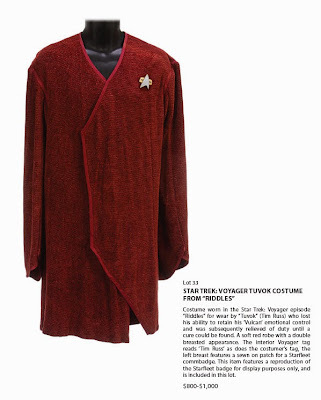 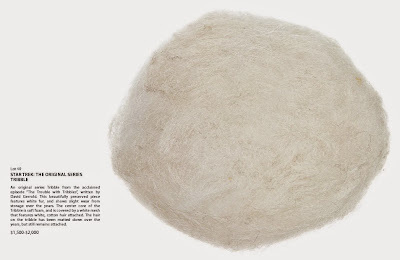 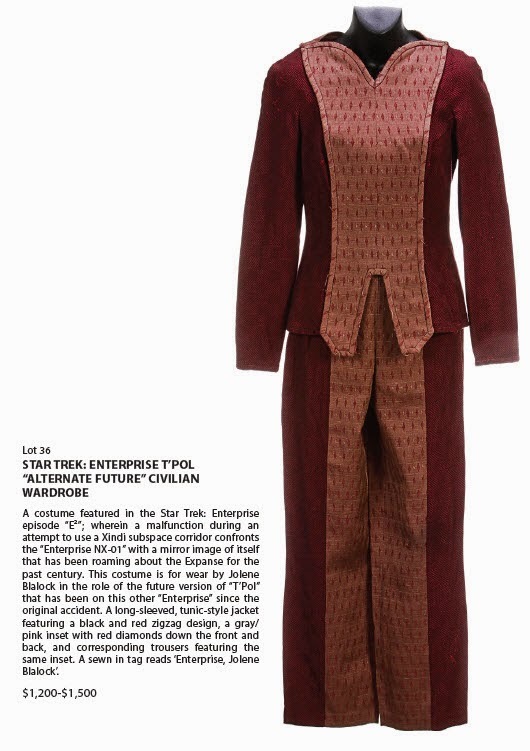 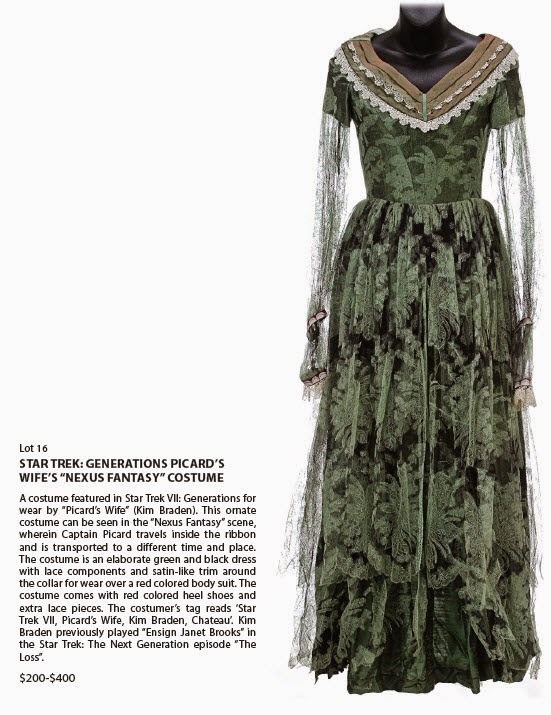 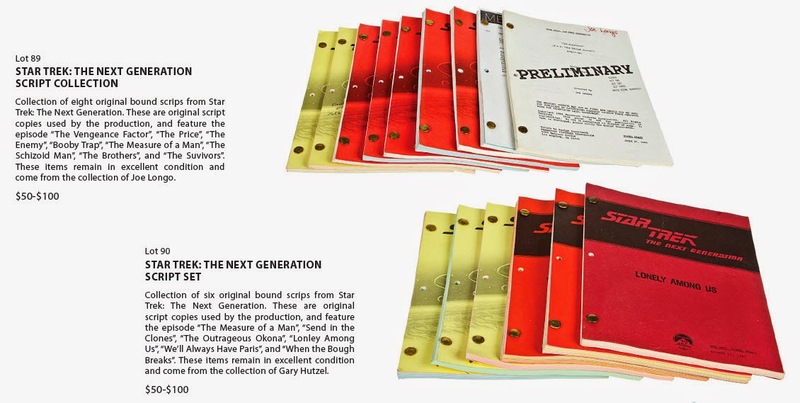 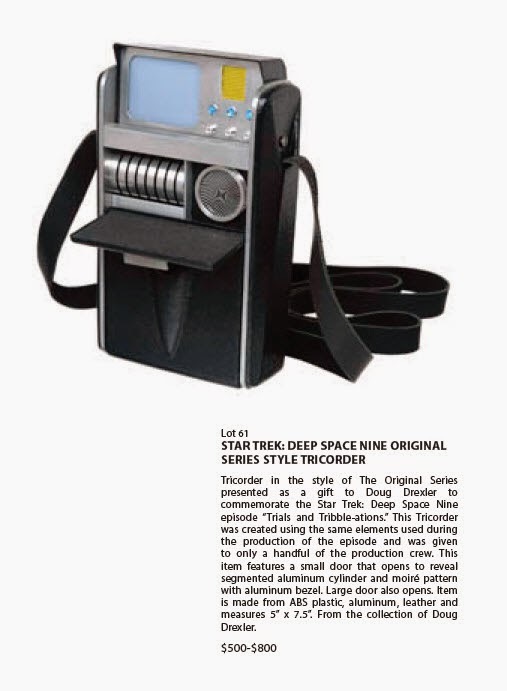 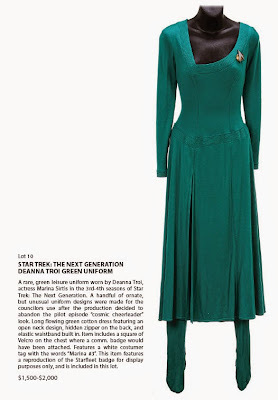 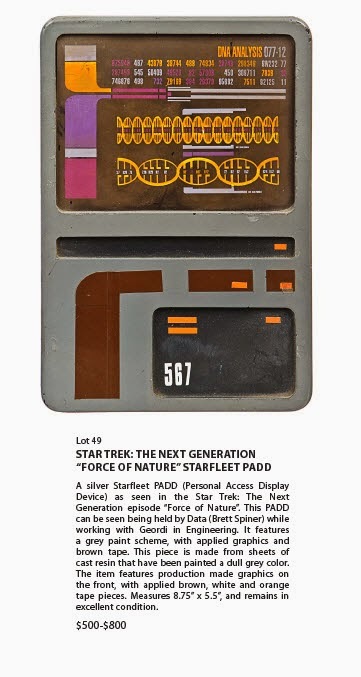 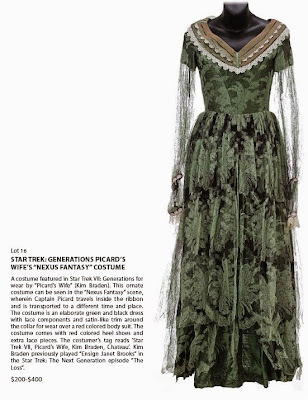 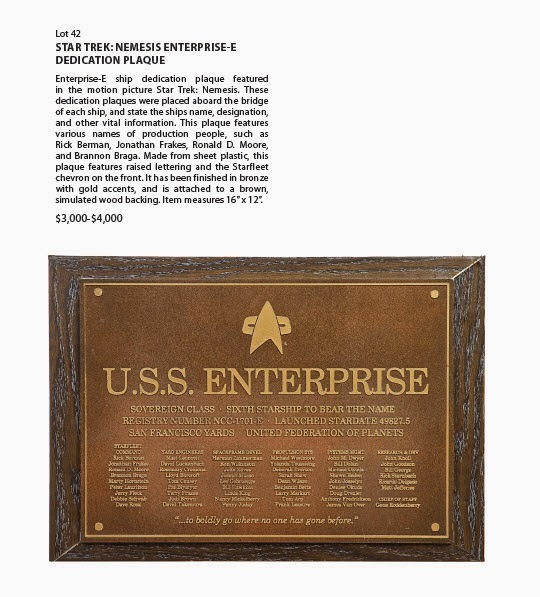 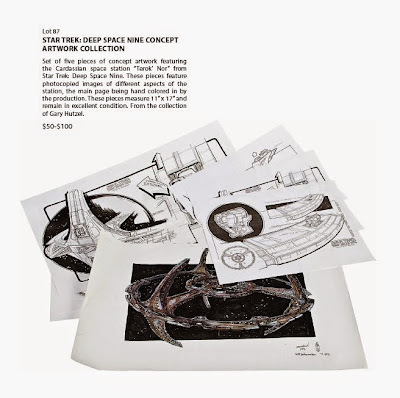 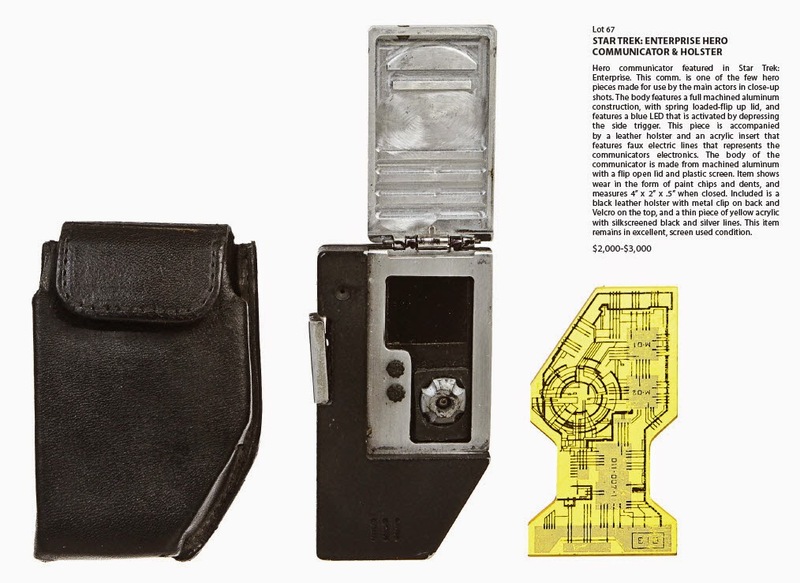 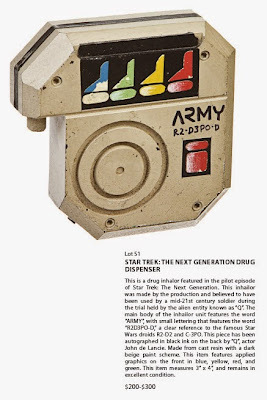 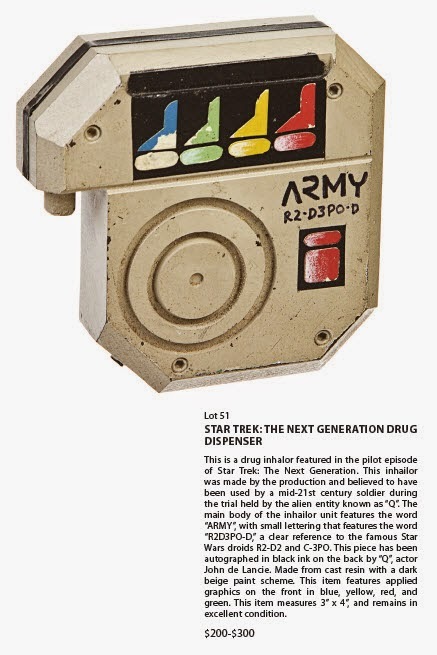 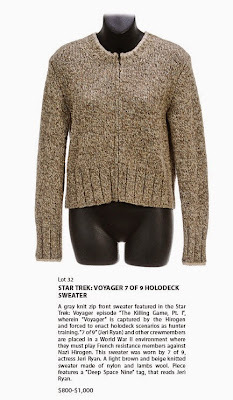 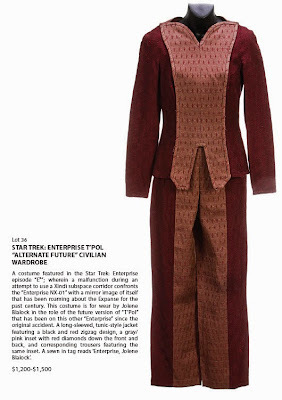 In just 9 days, the second of Propworx's three Star Trek memorabilia auctions for 2015 will take place in a live, online bidding session at LiveAuctioneers.com. 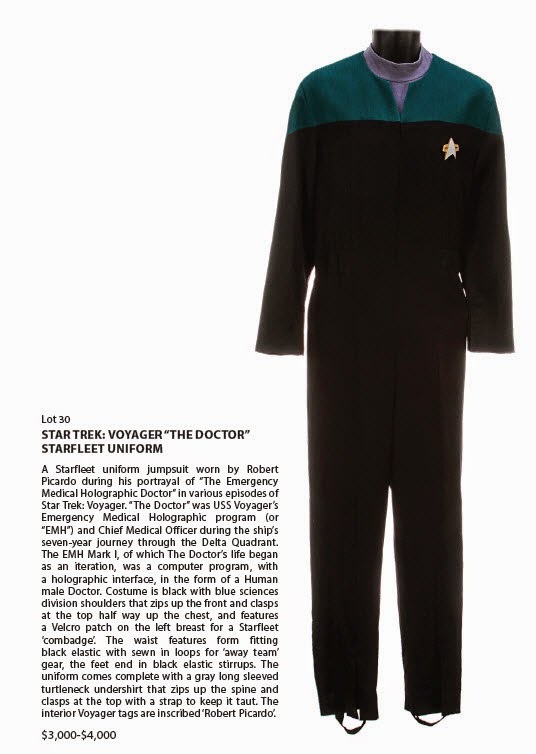 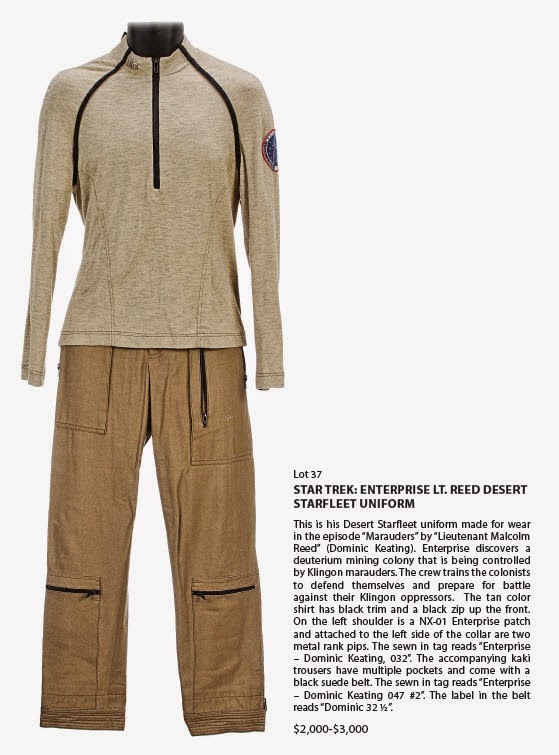 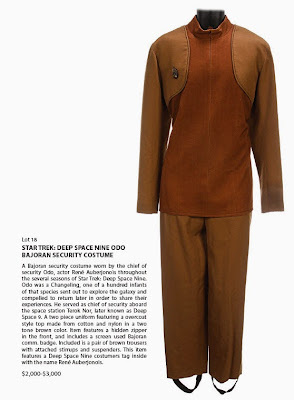 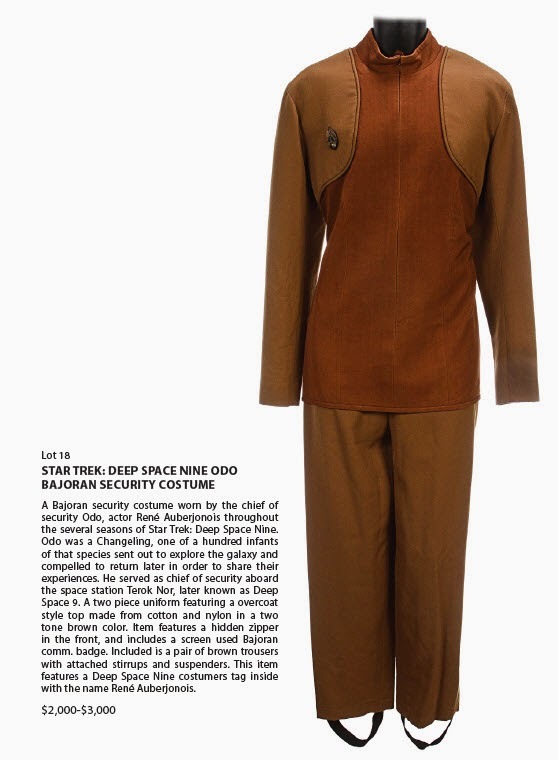 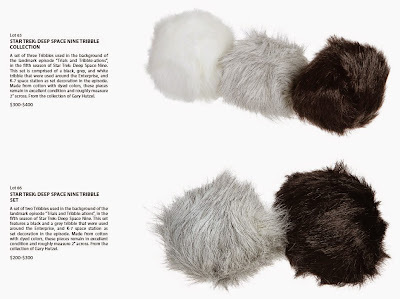 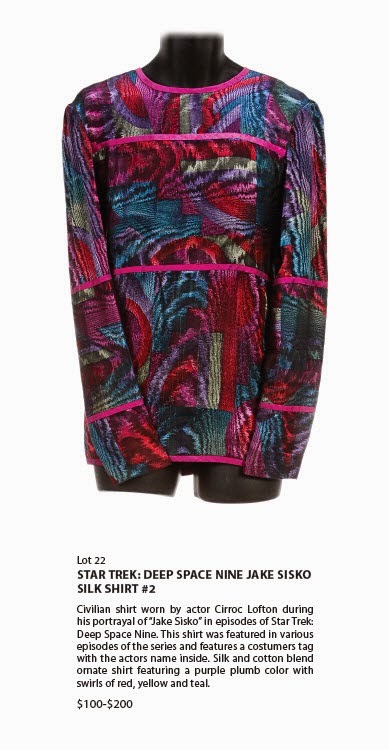 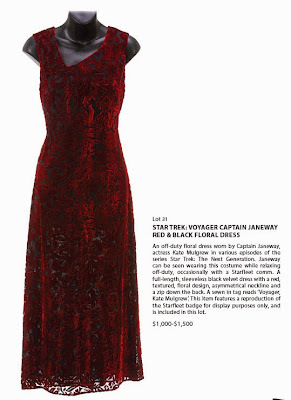 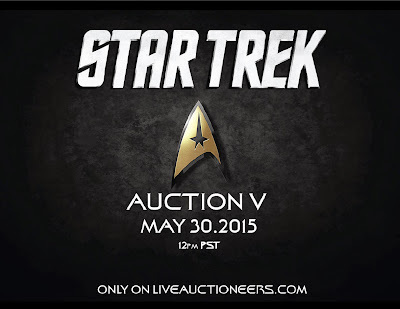 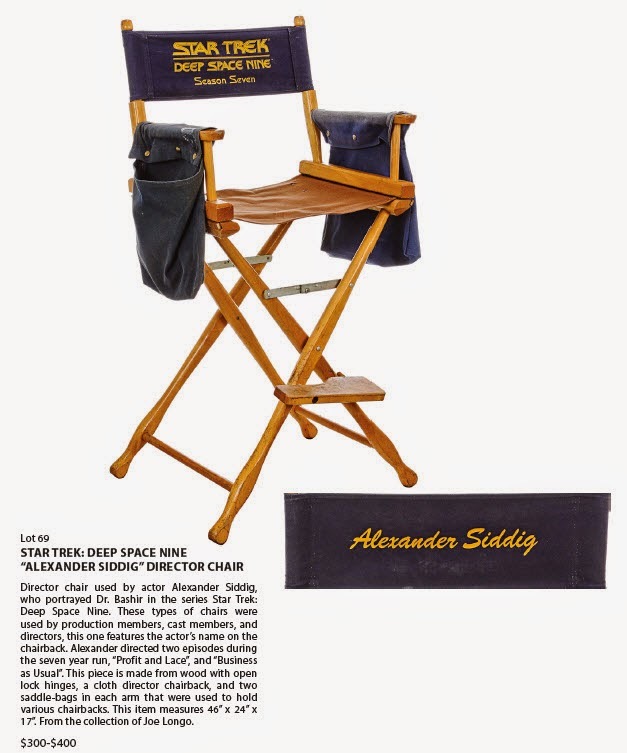 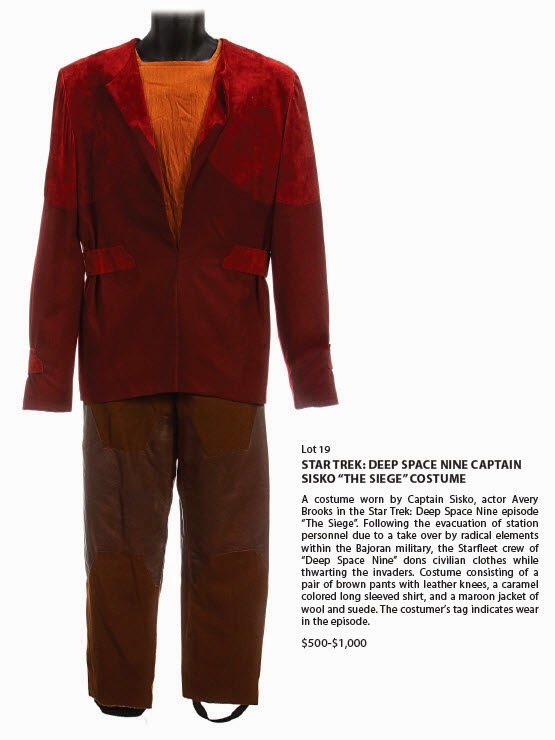 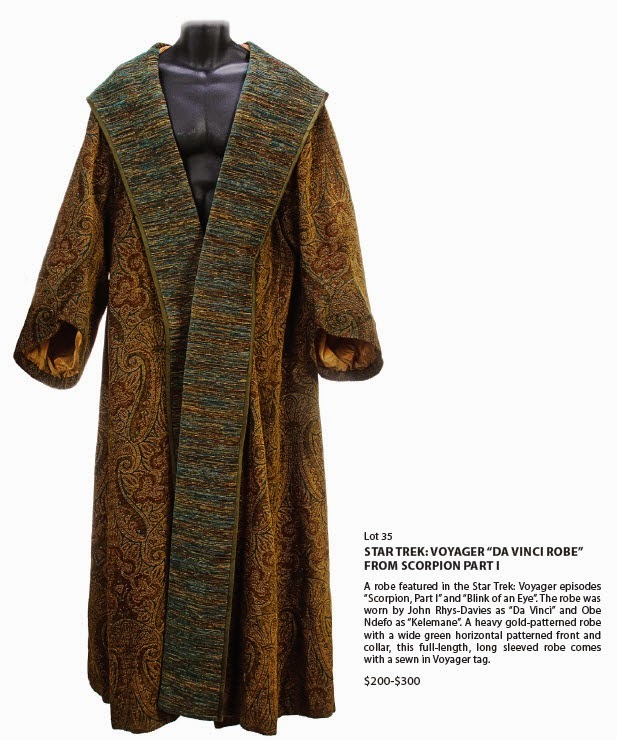 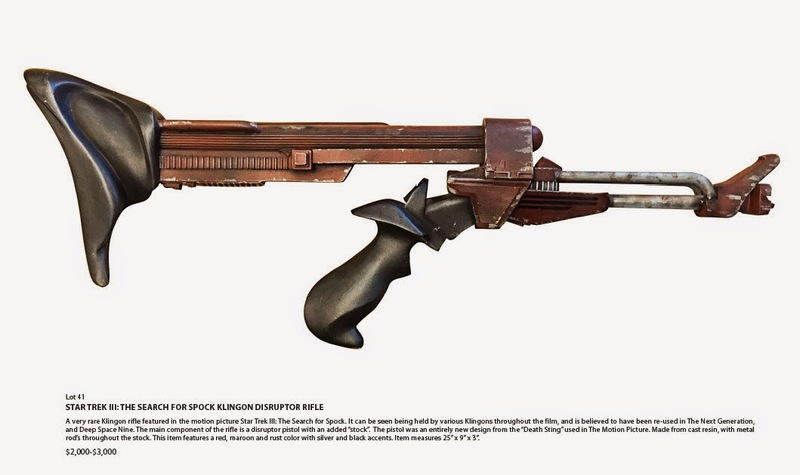 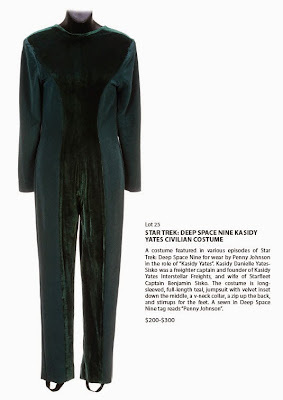 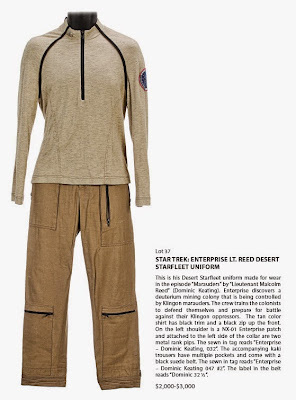 As was the case for the February event, this sale will feature a spectacular array of costumes, props, artwork and production materials from across the franchise that are primarily drawn from the collections of Star Trek luminaries Gary Hutzel (VFX Supervisor), Joe Longo (Propmaster) and Ronald B. Moore (VFX Supervisor). 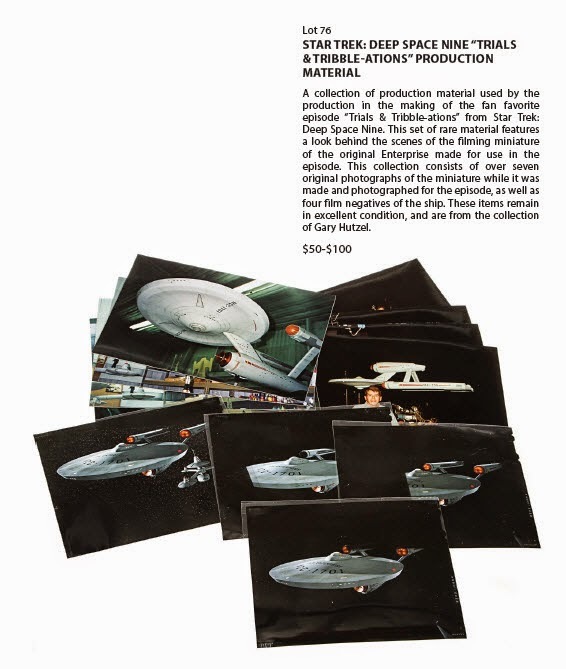 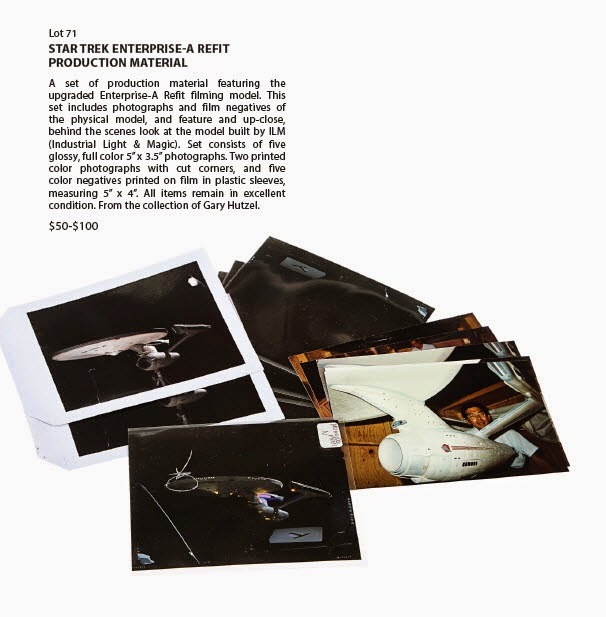 And just like the first auction, the Propworx Star Trek Auction V will include an impressive offering of starship filming miniatures, the likes of which have not been made available to the public since the historic Christie's 40th Anniversary event in October, 2006. 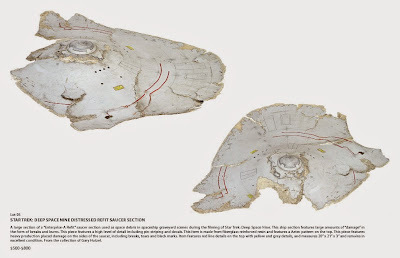 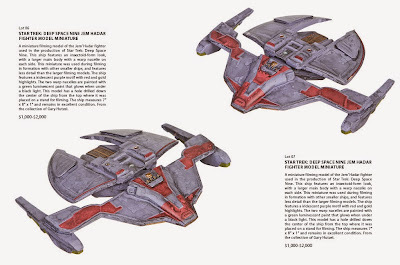 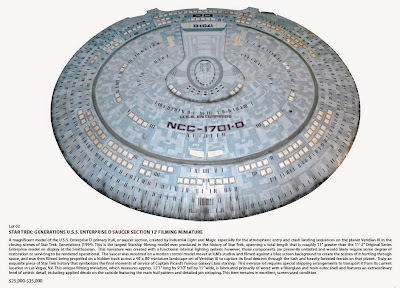 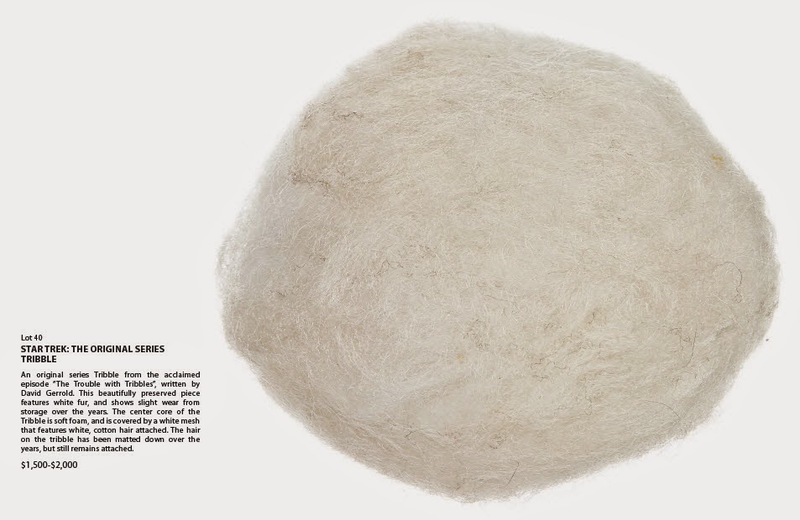 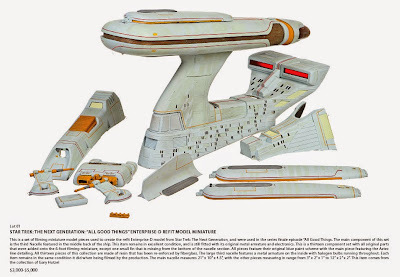 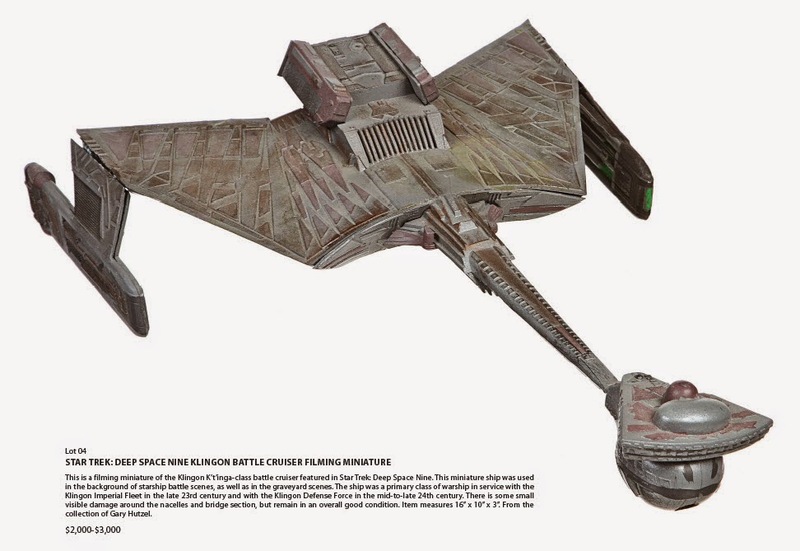 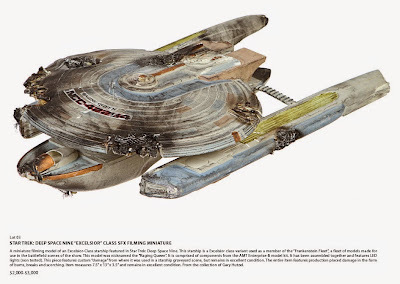 Included in the group of filming models to be offered, with a bid estimate of $25,000 - $35,000, is the huge 12 foot long Enterprise D Saucer Section miniature that was screen used in the seventh major feature film of the franchise, Star Trek: Generations (1994), for the memorable crash landing scene on the planet Veridian III.